India has a deeply rooted celebrity culture and there is no denying to the fact that tinsel town celebrities are the most desirable people across the country. They rule the hearts of millions and also break them after getting hitched. Naturally, with such humongous fan-following among the masses, these celebrities often have multiple affairs and their love lives are every bit interesting. One such Bollywood celebrity is the sensuous and sultry Rustom star, Esha Gupta. Actress, model and Miss India International 2007, Esha Gupta is having quite a run at the movies. She debuted with the 2012 film, Jannat 2 and was last seen in Total Dhamaal. Naturally, being a successful actress with stunning looks, Esha Gupta has had multiple affairs. So, let’s look at men in Esha Gupta’s life. “Well, I have an OCD about good fragrance and undeniably, it would be someone who smells good all the time. Fragrance attracts me a lot. Even my dog wears a fragrance; he remains clean and is sprayed regularly. He can live with me only if he smells good”. “I’m just lucky in love. Armaan has always been there for me. He has seen me grow from the time I was a fun-loving youngster in Delhi, to when I moved to Mumbai to earn a livelihood. He has stood by me for almost five years, yet our relationship feels so new. That’s because we don’t get to see each other that often. We have to rely on Skype to connect every day. 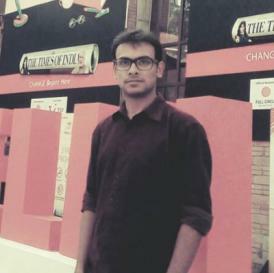 Whenever he is in Mumbai, we enjoy cooking, eating out and taking rickshaw rides post-midnight”. “I met Armaan at F-Bar in Delhi where I used to go clubbing with my older guy friends and their respective girlfriends. I didn’t have a boyfriend then. I remember seeing a very good-looking young boy in the crowd that night. He walked up to me and introduced himself. I took him aside and asked him to pretend to be my boyfriend, as a lot of shady men were trying to approach me. When we were leaving from the club in the morning, I invited him to join us for breakfast at a hotel. He asked me to travel with him in his car, but I couldn’t because his phone was dead and he couldn’t find his driver or the car. After two days, he called me. He said: ‘Did you go to that hotel that morning? My father has designed it.’ It was such a put-off. Then he clarified that he does have a car, which made me crack up (laughs). We went on a couple of dates before getting into a committed relationship”. 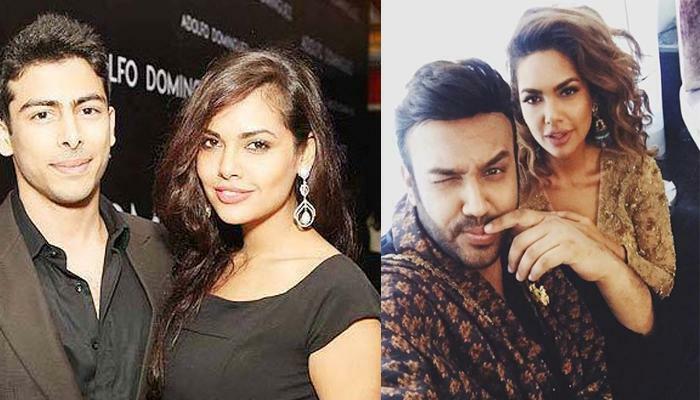 Esha Gupta allegedly dated costume designer, Nikhil Thampi and it came as a sweet surprise to everyone when she posted the above pic with him on her Instagram stories. As one can see the caption is followed by a ring, laughter and a heart emoticon, and it took no time for people to start conjecturing that they are soon going to get engaged. “Ok guys he is one of my closest best friend. we love each other, as friends. JUST FRIENDS..he’s one of my bffs n m very lucky to have him.. @nikhilthampi why don’t you love me back eh? Anyways hope this clarifies all the media reports..also, find me a man someone been single forever.. thanks”. “Right now, both of them are hush-hush about their budding romance. They want to see how things turn out. They make their lunch and dinner plans secretively and want to avoid the public glare. Currently, they are in the phase where they are getting to know each other”. “They make their lunch and dinner plans secretively and want to avoid the public glare. Currently, they are in the phase where they are getting to know each other”. “I’m not getting married anytime soon. I’ll let everyone know when I do”. Well, after going through the above points, we can say that Esha Gupta has not really been lucky in love, and we really hope that she finds the man of her dreams soon.